An hour later the SFRS issued a statement warning people that “large plume of smoke will be visible from a distance”. 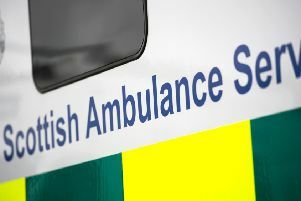 It said: “Around 40 firefighters are currently at work tackling a large fire at an Energy Recovery Facility in Dunbar. “SFRS mobilised a number of resources to the scene after the alarm was raised at 2.36am this morning.